An exchange visit between churches in Glasgow and Cuba was cancelled at the last minute after the Home Office refused to give visas to the visiting church members. Pictured are hosts from Castlemilk and members of the Cuban group from when they last visited in September 2017. 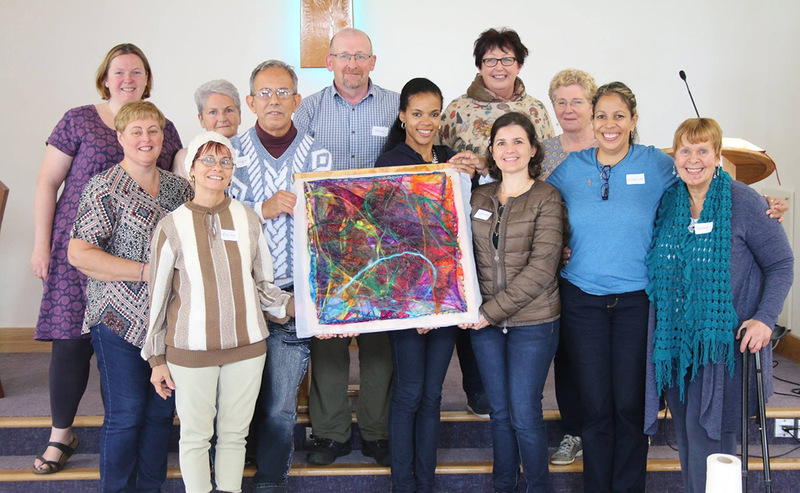 From left to right: Rev Sarah Brown, Tracey McCulley, Rosa Pérez, Myra Gibson, Sergio Machado, John Elder, Norka Fonden, Anne Jolly, Aymara Cepeda Villar, Pauline Edmiston, Katherine Diaz, Bessie Anderson. Castlemilk Parish Church and Luyano Presbyterian Church in Havana have hosted one another several times in the past without any problem. But this year when it was the Cubans' turn to visit Scotland, the Home Office refused to give visas to Pastor Daniel Izquierdo and four other members of his church. Since then the Home Office has reversed its decision but the change of heart came a month after the visit was was due to begin. "The Visa approval from the Home Office, coming as it did a whole month after the event to which these fellow Christians were invited, does little to reassure us that the there is any recognition on the part of the Home Office of the worldwide movement that is the Christian Church. Rev Sarah Brown, the minister at Castlemilk said the churches have been working together to learn about overcoming poverty through the Together for a Change initiative, which links the Church’s Priority Area congregations - in 64 of Scotland’s poorest communities –with similar communities across the world. “We were really disappointed because our host families were looking forward to welcoming them,” Ms Brown said. “This relationship matters a lot to both of our churches. “We have been told that the Home Office has now said they will grant visas to the Cuban church visitors, but unfortunately it is a month too late. "I hope this means they will be able to visit us next year, but we have no way to know if the visas will be granted next time they apply. “We have had two visits from our Cuban friends and all but one person - who applied separately from the first group - were given visas. “The Scottish Government hosted the group and they also visited Glasgow City Chambers,” Ms Brown added. “Everyone came and had a good time and then went back." Two groups from Castlemilk have been to Havana where they slept in a church and were hosted by Cuban families in their homes. “We visited projects there and saw how church groups are tackling poverty in Cuba,” Mrs Brown said. The churches see similarities between their different communities, despite the 4.500 miles between them. “The key thing is people’s resilience and their creativity in overcoming challenges,” she said. Church visitors from other parts of the world have increasingly seen their visa applications turned down in the last few years, and other groups including the Edinburgh Festival Fringe have complained that visiting artists and musicians have been turned down more often than in the past. “The refusal of visas by the Home Office to this group is shameful but sadly reflects an increasingly common pattern of behaviour. “This is not the first time, sadly, that members of the world Church have been refused the right to visit Scotland and it is becoming more and more common. “The Church is a global movement of people from across the world who seek first and foremost to follow Jesus. When the UK Government refuses members of that worldwide family the right to visit us, and to give us the opportunity to learn from them, it causes us considerable sadness and pain. The Castlemilk congregation has no plans to give up on the exchange. A group of six members will be visiting Havana next March and they hope to try again to bring over five Cuban church members next May.